Instagram Mobile Mockup Template is a free PSD UI.Download MISC. Here we have for you a psd UI element. Instagram Mobile Mockup Template is a free that you may find useful for developing your future web design projects. This MISC perfect for instagram, mobile, mockup, template, cover, grid. No compliance involved in the user interface, just tap on the download link and employ it in your project perfectly. 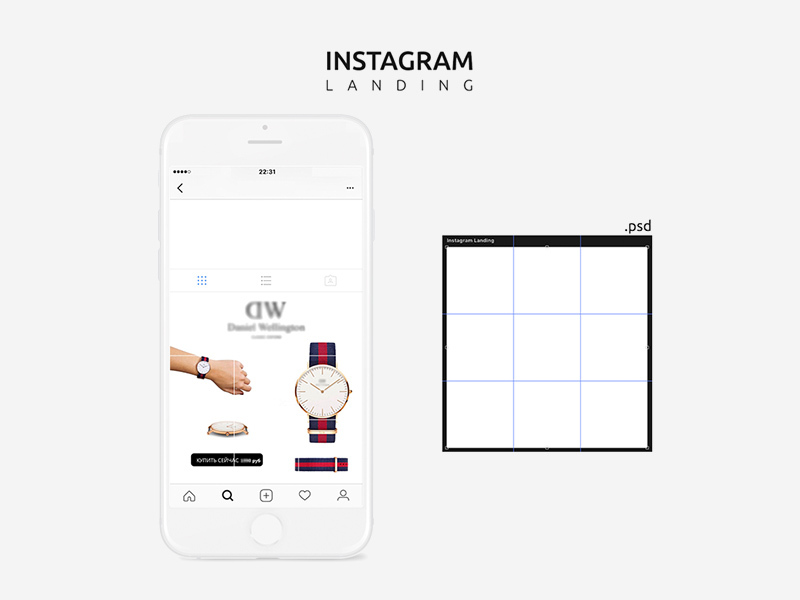 Instagram mobile mockup template will help you view how your photos will look like after uploading. This will also let you create beautiful covers made from multiple pictures. This mockup template was made for free by Ivan Bogatyrev.